Located in southwestern New Hampshire, the Sunapee region has been a well-known vacation destination for centuries. 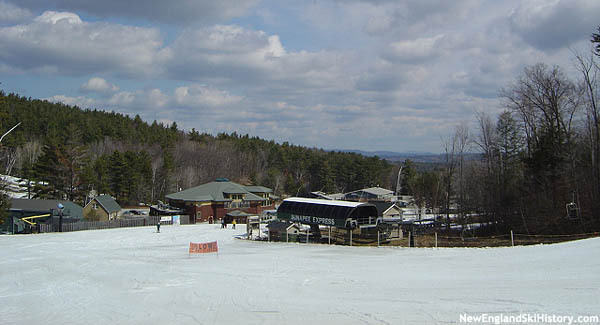 2,726 foot Mount Sunapee is home to multiple high speed chairlifts and plentiful intermediate terrain. The Duckling was the oldest chairlift in the state. The Executive Council voted 3 to 2 to re-approve the long awaited plan. Former Sunapee GM Jay Gamble has been hired by Ragged Mountain. The Vail acquisition of Crested Butte, Okemo, and Sunapee can now move forward. Vail Resorts is seeking state approval to acquire the ski area lease. A total of four ski resorts were acquired by Vail Resorts today. New ski lifts are being constructed in New Hampshire and Vermont in 2018. The state owned ski area took over a million dollars from state coffers last year. Executive Council voted 3 to 1 to approve the long awaited plan.